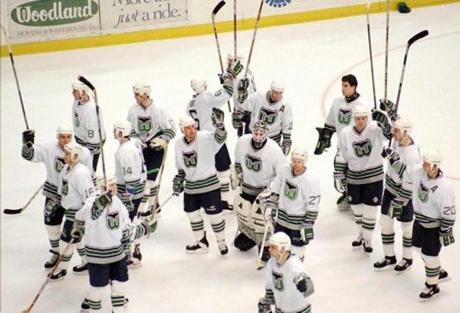 The Hartford Whalers played their final game in Hartford, Conn., on April 13, 1997, after an 18-year run in that city. 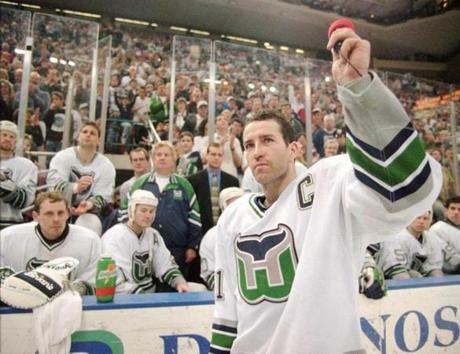 Whalers captain Kevin Dineen addressed the fans after the team's final game at the Hartford Civic Center. Goalie Sean Burke and the Whalers went out winners, beating the Tampa Bay Lightning in their final game in Hartford. 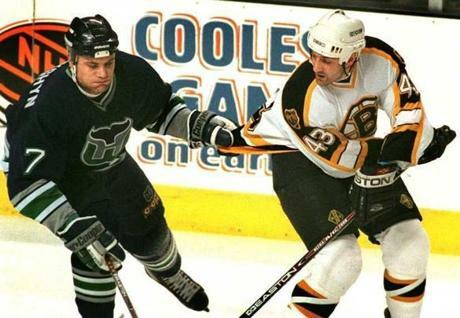 In 18 seasons from 1979 to 1997, the Whalers went 534-709-177, including countless battles against their regional rivals from Boston. 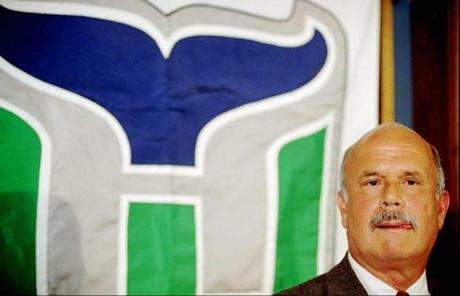 Peter Karmanos bought the Whalers in 1994 for $47.4 million. The Hartford Wolf Pack, an AHL franchise in the New York Rangers' organization, began playing in Hartford in 1997. Howard Baldwin, a former owner of the Hartford Whalers, took control of the Wolf Pack franchise in 2010 and ran the team as the Connecticut Whale until 2013. 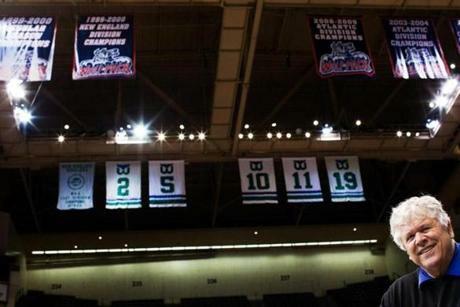 The building once known as the Hartford Civic Center is now called the XL Center. 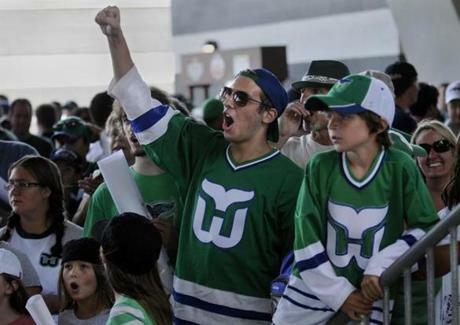 The Whalers were often derided for playing "in a mall" because the entrances to the Hartford Civic Center were surrounded by shops and restaurants. Today, many are closed and the place is quiet when not hosting events. 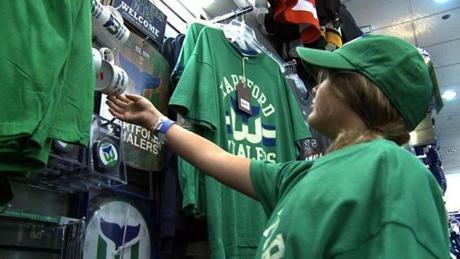 While the Whalers have been gone for more than a decade, merchandise with the team's logo remains available and popular. 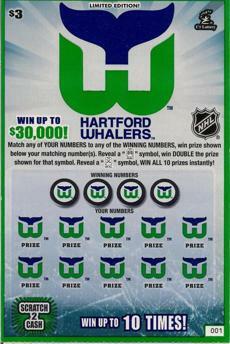 The Connecticut Lottery even sells a Hartford Whalers scratch ticket. A contingent of diehard fans remains in Connecticut, and rallies and reunions, including this one in 2010, are held on a regular basis.